Serveless infrastructure became popular. Very popular. It’s almost viral =) There are some good reasons for it: serverless approach is cost-effective, scalable and easy-to-deploy. The last one is at the same time a kill-feature and the weakest link: it’s so easy to push a few buttons or write a simple .yml manifest, so people have tendency to forget that majority of default settings are very unsecure. This short article contains five steps to ensure that your Serverless infrastructure is well protected. Step1: entrance by invitation only. Or let’s add authorisation. By default there is no authorization. At all: you wrote Lambda, you connected it to DynamoDB, you deployed it together with API Gateway — the whole World can access your data. 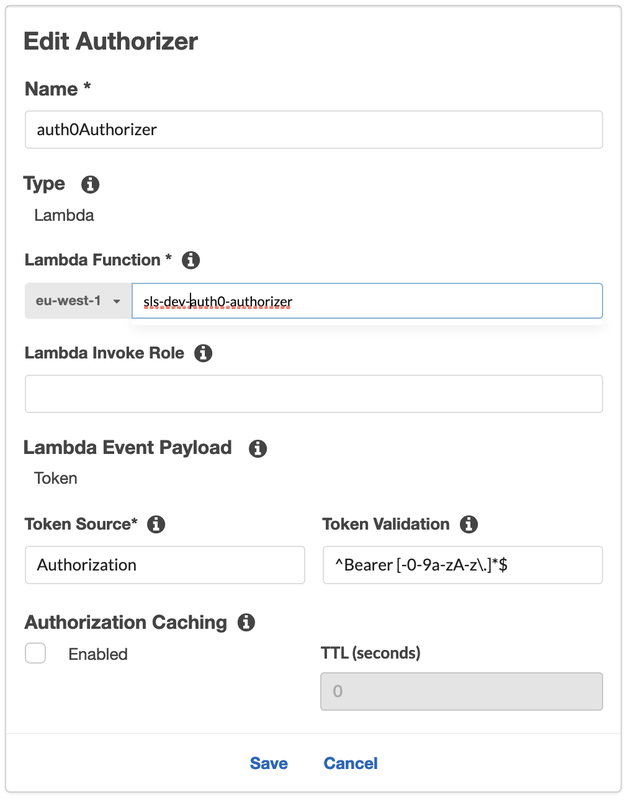 So, it’s really nearly impossible to underestimate how important it is: always add authorization at the very first stage of developing your Serverless project. Currently Amazon API Gateway supports both API keys and Custom Authorizers. Let’s take a look on Authorizers first. There are two options: AWS Cognito and Lambda-based. Second one allows you to use BasicAuth, third party providers like Auth0 and etc. And then - use authorizerConfig notation to attach custom Authorizer to your Amazon API Gateway endpoint. Step2: DDOS protection. API keys, Usage Plans and Throttling. Initial setup of API key is very simple: no Cognito pool or Lambda required. API keys solution are not as scalable as custom Authorizer: you have to create key for every user. 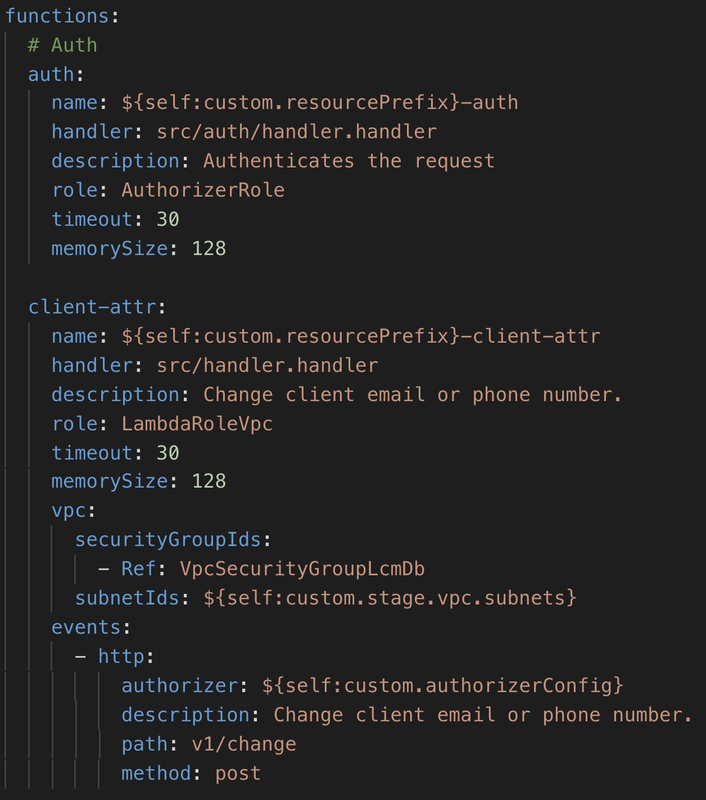 In many situation it makes sense to combine both API keys and custom Authorizer. Authorizer will give you secure, granular and scalable authorization, API keys — will help to protect your project against DDoS. Associate Usage plan to API gateway endpoint. 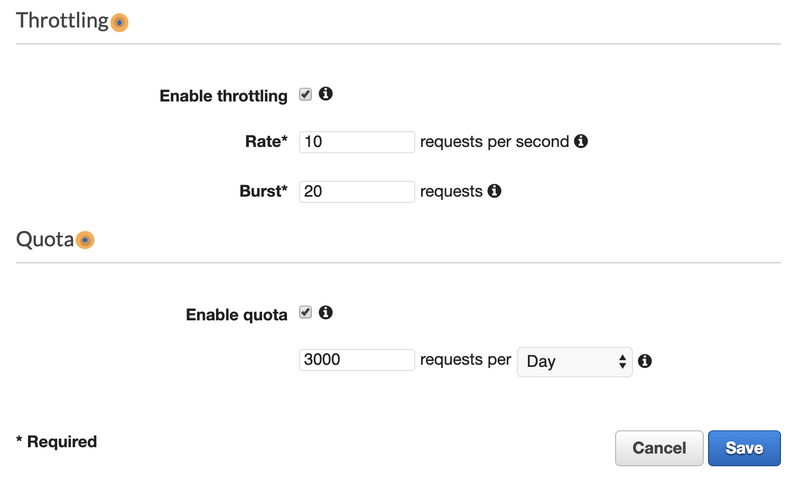 Quota will be handy, in case you want to limit amount of calls from the certain API key per day, week or month. Step3: don’t play with my endpoint. AWS WAF. 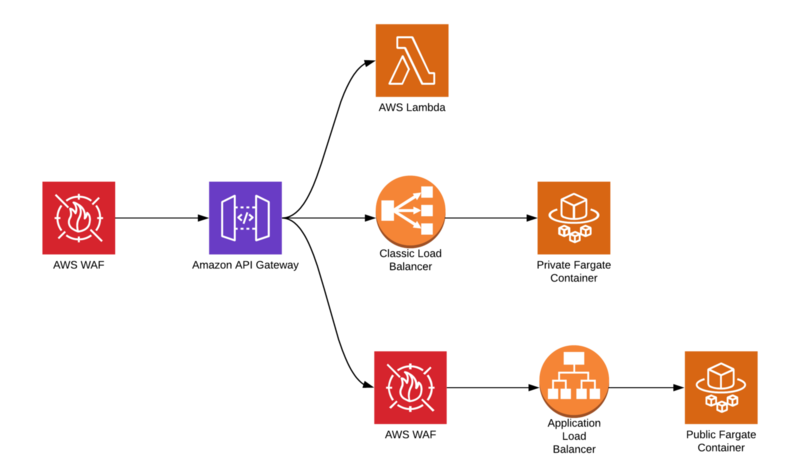 AWS WAF supports association with Amazon API Gateway. This is just awesome: you can protect endpoints with custom or managed ACL rules. Just follow AWS tutorial or purchase your ACL via AWS Marketplace. In this case you should have one more WAF between your API Gateway and Application Load Balancer. Firstly, it will protect your public container. Secondly, you can configure the rule, which only allows traffic from API Gateway to pass trough. Lambda environment variables. Used to be the worst options and well-known anti-pattern, but now Lambda functions support KMS encryption for environment variables. However, storing environment variables values in plain text of your serverless.yml file is still a horrible idea =) To avoid it, you can store variables in AWS Parameter store or AWS Secret Manager and use serverless framework functionality to obtain values during deployment. AWS Systems Manager Parameter Store allows you to encrypt variables with KMS keys and obtain values via SDK calls from your Lambda function. AWS Secret Manager provides the same functionality as AWS Parameter Store. But it has a nice feature of secret value rotation and integration with AWS RDS. However AWS Secret Manager price per secret is higher comparing with AWS Parameter Store. You choice. Lead Cloud Engineer. DevOps advocate. Serverless enthusiast.